Dr. Jodie Ward is the Team Leader of NSW Health Pathology’s Specialist DNA Laboratory at the Forensic & Analytical Science Service and she is passionate about using forensic science to help make a difference to people’s lives. Having established this laboratory in 2015, she has since created a specialist DNA service for the identification of human remains, being used nationally by the police and armed forces. Jodie previously worked for the NSW Police and Australian Federal Police. She is also a Forensic Biology Lecturer at the Canberra Institute of Technology and supervises postgraduate research in her role as Adjunct Professional Associate at the University of Canberra. 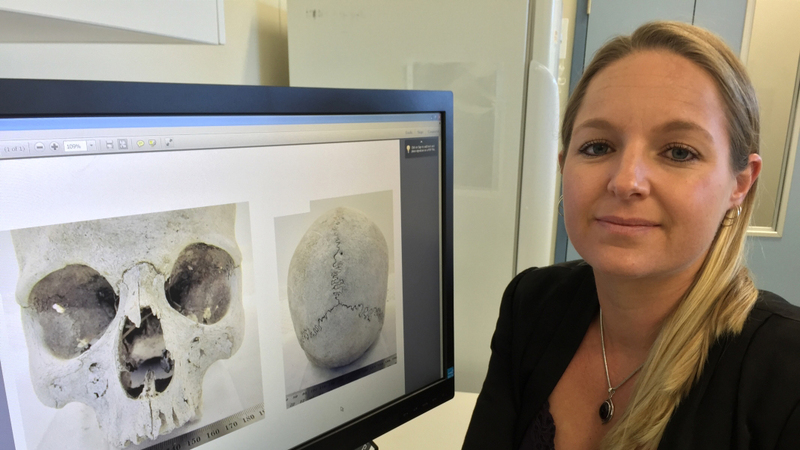 In 2015, she was awarded a Winston Churchill Fellowship to investigate specialist DNA techniques and DNA-led programs for identifying unknown human remains. This opportunity has informed recommendations for establishing an Australian DNA identification program for missing persons. Jodie's current research interests include massively parallel sequencing applications for the DNA identification of compromised human remains - the next frontier in this field. Dr. Ward has a PhD in forensic molecular biology from the Australian National University, and postgraduate qualifications in management and higher education. She is a member of the Australian Academy of Forensic Sciences, International Society of Forensic Genetics, and a committee member of the NSW Branch of the Australian & New Zealand Forensic Science Society.